Porsh, Mykola [Порш, Микола; Porš], b 19 October 1879 in Lubny, Poltava gubernia, d 16 April 1944 in Berlin. Economist and civic figure of German-Jewish descent and a leading member of the Revolutionary Ukrainian party and of the Ukrainian Social Democratic Workers' party. 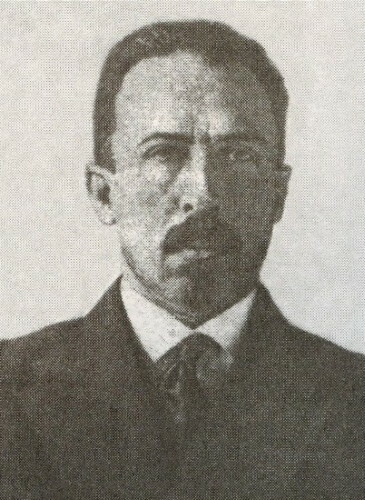 In the late 1890s he conducted revolutionary work in the Lubny region, and from 1904 he worked in the political underground in Kyiv and Nizhyn. During the Ukrainian struggle for independence (1917–20) he was a member of the Central Rada and its Little Rada. In January 1918 he was appointed Ukrainian National Republic (UNR) minister of defense and labor. After serving as UNR envoy to Germany in 1919–20, he stayed abroad and turned away from political activity. His studies of Ukraine's agrarian and economic problems demonstrated, by an examination of issues such as land use and ownership, the labor market, and Russian state budget policies, how Ukraine was exploited by Russia. Methodologically, Porsh was one of the first economists to separate the statistical data on Ukraine from the data on the Russian Empire. Under the pseudonym Hordiienko he engaged in polemics with Petr Struve on the question of Ukraine's national economy. He also translated Karl Marx's Zur Kritik der politischen Ökonomie into Ukrainian (1923).